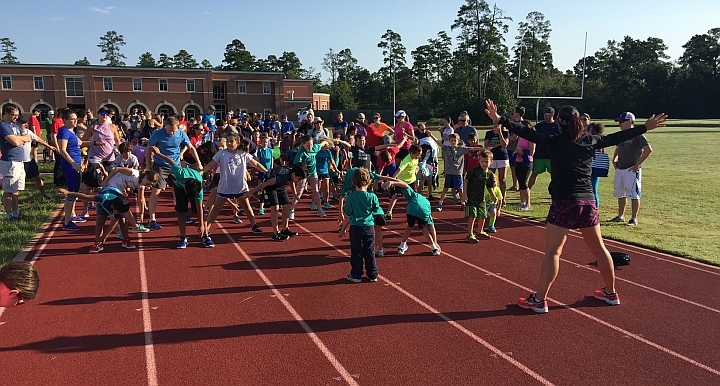 The Woodlands Running Club Juniors is a program for kids 3 to 16 years old who like to run or want to start running. Our Juniors run up to 4 times each week beginning in September and are required to log 25 miles by the end of February 2019. Saturday September 8th 2018 is the kickoff event at the 9th grade campus from 8:30-9:30 am. After that, they are encouraged to run the 2K fun run at The Woodlands Marathon on February 23th 2019 for a total of 26.2 miles to receive your marathon medal. And when they cross the finish line on race day, they will receive the 2K medal and the actual marathon medal, the same one as all the marathoners!